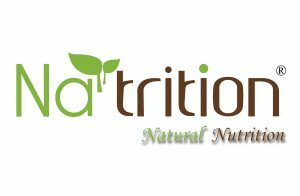 Na’trition is the abbreviation of “Natural Nutrition.” We are dedicated to solve modern life-style health concerns with natural nutrients and remedies. Our goal is to educate people about the importance of maintaining body wellness. A healthy body is the solid ground that supports us to explore our life. For every real life problem, we believe there is a natural way to solve it without much bothersome aftereffects. We strive to look after these solutions that can increase our life quality in a natural way. Quality is always our first priority. We operate and own our FDA-registered manufacturing facility to secure the best quality products for our clients. We source the best quality raw materials from all over the world and check every report to make sure the ingredients meet our standards. In addition to that, we are willing to offer risk-free return guarantee to any clients who aren’t satisfied with the products they purchased.